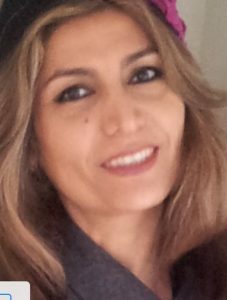 Afsaneh Gitiforouz was born in Shiraz, Iran. There she completed a BSc in clinical psychology. She left Iran in 1999 and finally settled in London in 2000 where she has been living since. She began writing in 2014, the outcome of which has been a full length novel and many poems that she calls “two-liners”. She is passionate about the poetry of Hafez (the 14th century Persian poet) and Rumi (The 13th century Persian poet). Afsaneh has been involved in organising or preparing the material content of a number of literary events including at the National Portrait Gallery. Is there anything in me that belongs to me? Or is it me that belongs to another entity? All my belongings have parted with me in this journey.